So everyone and their momma is coming into town this weekend for our huge ACL festival. 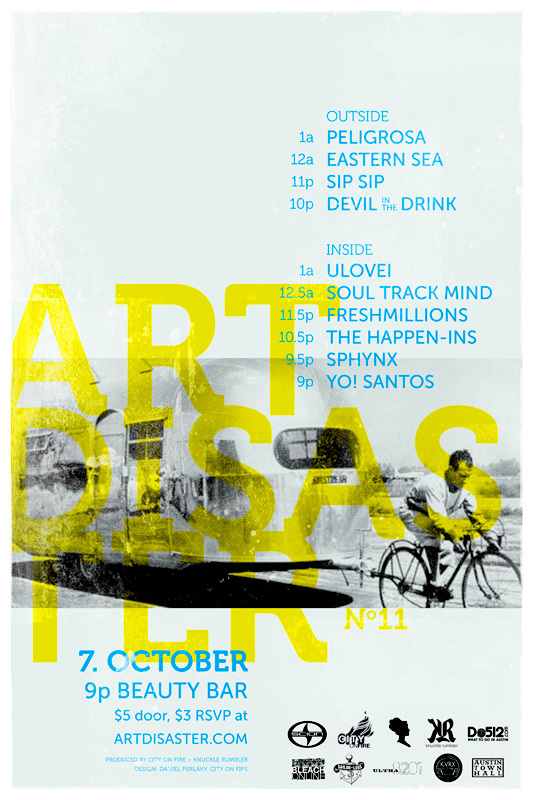 For those of you in town early, as you should be doing, head over to Beauty Bar for the 11th version of the locally produced Art Disaster. Yet again you can expect some great up and coming talent from the likes of uLovei, Soul Track Mind, Freshmillions, The Happen-ins, Sphynx, Yo! 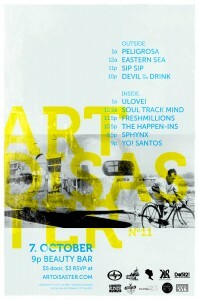 Santos, Peligrosa, The Eastern Sea, Sip Sip, and Devil in the Drink. 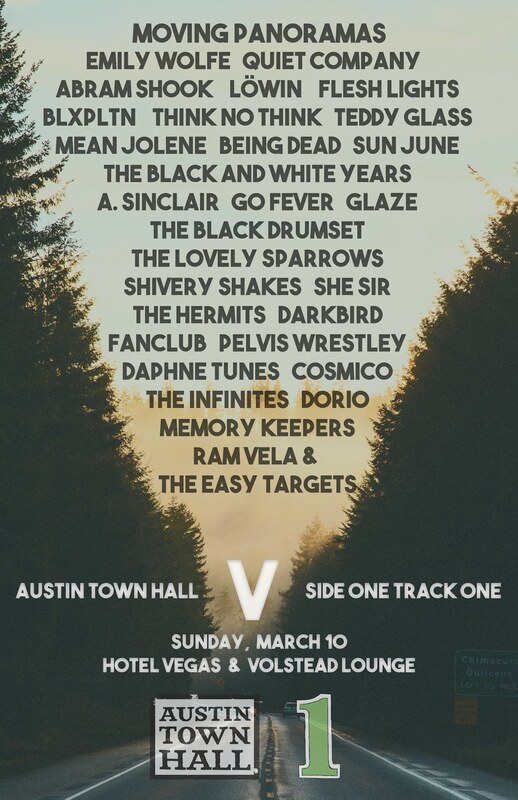 Now hot damn, that’s a lineup! The event is also pretty cheap if you follow that link and RSVP ahead of time. Be there!